The Tech softball team visited the Georgia Bulldogs on April 3 for the second meeting between the two teams this season. The first meeting resulted in a 14-1 Tech loss to a then ranked UGA. And while the Bulldogs may no longer be ranked, the result was much worse for the Jackets. In front of a crowd of 1,463 at Jack Turner Satdium, a 12-run first inning for the Bulldogs helped them along the way to a five inning 20-1 drubbing of the Jackets. It was the worst defensive outing for Tech in the history of the team. Both the 20 runs allowed and the 19-run margin of defeat set new records for the Jackets, who managed just one hit through five innings. The sole hit came off the bat of junior Ashley Thomas when she hit a double at the top of the fourth inning. A walk and two fielder’s choices would allow Thomas to later score the only Jacket run of the night. Thomas has hit safely in all but four games this season and has reached a base safely in all but three. The story of the night, however, was the offense of the Bulldogs. Georgia had six different batters hit home runs, just one of which was a solo shot. Two of those home runs came in the form of a three-run homer and a grand slam in the first inning. The Jackets’ starting pitcher, sophomore Karly Fullem, was tagged for 12 earned runs off of eight hits in just one and two-thirds innings of work. Sophomore Kylie Kleinschmidt did not fare much better in relief of Fullem, as she gave up five earned runs off of five hits. The game was called short after four and a half innings due to the large gap in the run differential. After taking a 12-0 lead through one inning, Georgia would score the rest of their points off of home runs. A three-run homer gave them a 15-0 lead after two before a solo shot to start the third inning extended that lead. The Bulldogs would then hit a pair of two-run shots in their final inning at bat to bring their lead to 20-1. UGA’s Morgan Montamyor was the winning pitcher improving her record to 7-5 on the season. Tech’s Karly Fullem got her first loss of the season and is now 3-1. UGA outfielder Kaylee Ouailoa finished the night 2-4 with a game high five RBIs and scored two runs. Chrisitne Olney also had a n impressive night fro UGA. Olney finished the game 2-4 with four RBIs. 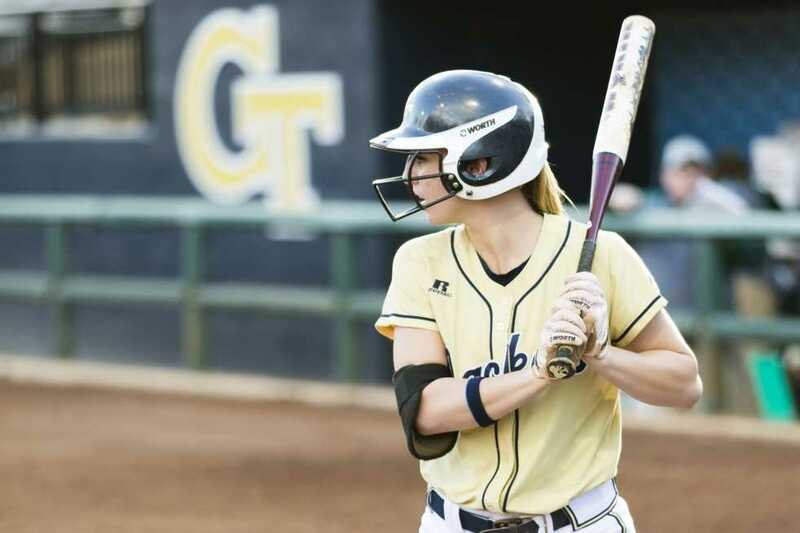 The loss for Tech followed a four game stretch that saw the Jackets win three games. The first was a 17- 3 win against Kennesaw State. The next two came against North Carolina State in a three-game series. The Jackets won the first of those two games by scores of 7-2 and 7-5, before dropping the last game of the series 12-4. Junior Alysha Rudnik was named the ACC Player of the Week based on her outstanding performance in those four games. Rudnik, who plays catcher and third base, was dominant from behind the plate, posting a 0.750 batting average by going 9-for-12, seven runs, three doubles, and a home run. Her numbers were especially strong against NC State. She batted .800 against the Wolfpack, going 3-for-4 with two doubles and a home run in the first game before going 3-for-3 with another double in the night game. All in all, Rudnik played a part in nine of the Jackets’ 14 runs in their two wins against their ACC opponents. This marks the second time in Rudnik’s career that she’s earned conference player of the week. Tech will next play a three-game series against Virginia Tech, starting with a doubleheader against their fellow ACC foes on Saturday, April 6.